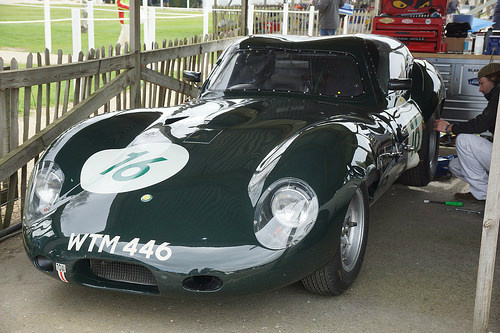 Racing driver Brian Lister founded Lister Cars in 1954, and his first sports car made its first appearance at Oulton Park that same year when it was entered in the British Empire Trophy. The car feature a modified MG engine fitted to a standard gearbox and used a steel ladder frame chassis with drum brakes all round. Later that year, using a tuned Bristol two litre engine in place of the MG unit, this Lister-Bristol was entered in the British Grand Prix at Silverstone where it was placed first in the two-litre class and fifth overall. In 1957, the car was redesigned to incorporate an aerodynamically styled body, using aluminium panels, and powered by the twin overhead cam, inline 6-cylinder, 3.8 litre Jaguar XK engine from the later D-Type, which produced 0-100 mph in 11.2 secs. Now designated the Lister-Jaguar, the car went on to win the 1957 British Empire Trophy. The low front section needed a large "power bulge" in order to accommodate the engine. This, together with its protruding wings, gave rise to its nickname the Lister Knobbly. 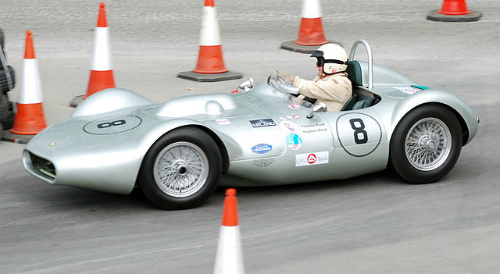 A variant of this Jaguar-engined Knobbly was one fitted with a small block Chevrolet V8 engine as fitted to the Corvette. Although heavily promoted by Carroll Shelby, this variant was unstable at high speeds, and was therefore short-lived. Finally, in 1959, the body styling was further modified to overcome this instability. 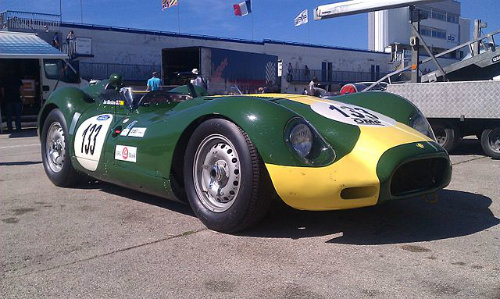 Using the latest Corvette engine, this Lister Chevrolet replaced the Knobbly, but was no match for the competition, and was finally withdrawn from track events later that year. Only 17 of these sports cars were built. In 1986, Lister Cars re-entered the ring with the launch of the successful Lister Storm in 1993.